Okay so remember I mentioned I had some really exciting news I was dying to share with you all?! Moving Stones is a fledgling project my friend Leah Stoch Spokoiny has been developing for the past couple of years with my input. Leah is a Canadian Jew who has been living in Catalonia for more than 20 years (the last several in Girona), and she conceived of the project after noticing some deficiencies in the way Jewish heritage was being addressed in Spain. The project, as it stands, has two main objectives: to provide a reliable educational resource on Judaism and Jewish heritage, and to serve as a platform for open and respectful discussion of important issues. She stumbled across this blog while researching and reached out to me, and I responded with enthusiasm. We’ve been partners-in-crime ever since! And I have been driving her ABSOLUTELY CRAZY over the entire holiday to finalize the location and we finally found the perfect place!!! Llibreria Geli is a historic bookshop established in 1879 and situated on the edge of the Old City of Girona. It was one of the oldest bookstores in Catalonia and carries more than 200,000 titles in Catalan and Spanish. The good folks at Pedres de Girona, a website promoting the history, gastronomy, legends, and culture of Girona, coordinate events at the shop, and they kindly offered to host and promote the event. They will also be filming it and will make the video available on YouTube and on their Facebook page. (So for those of you on other continents, fear not, this thing is gonna be well-documented!!!) And they will be making a poster way better than the one I threw together above, which I will share with you when it’s ready! 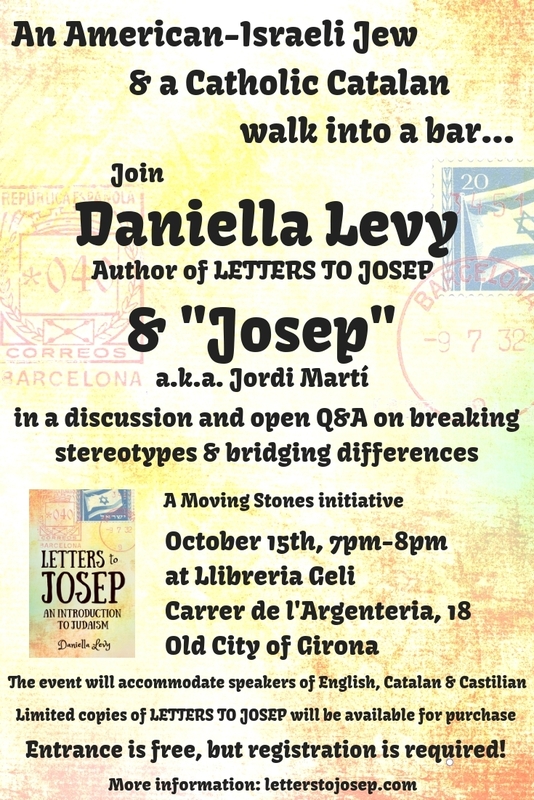 I know most of you readers aren’t in the area… but if you do happen to be near Girona on the 15th, we would love to see you there!!! About registration–we’re still setting that up; watch this space!